RADFORD JAMES GOOD DAGGER, born January 12, 1970, passed away suddenly on Monday, October 8, 2018 at the age of 48 years. Radford is survived by one daughter Desiree; one grandchild; two brothers Michael and Wilbert (Darlene) Good Dagger; sisters Margaret (Dale) Rabbit, Joyce (Gary) Bird, April (Duwayne) Calling Last; auntie Rose (Marty) Reyes, Evelyn Striped Wolf (David), Theresa Vielle, Corolla Calf Robe; godmother Elizabeth Big Swan; godchild Destiny Morning Owl; special cousin Gloria Little Mustache; good friend Mark Moore. He was predeceased by his parents Wilford & Helen Good Rider; grandparents Emil & Agnes Good Rider, Mary & Harvey Morning Bird, as well as the late George Good Dagger Sr., his sister Suzanne, brothers Wilford Jr., Walter, Gifford Good Dagger and Carl Good Rider. A Wake Service will be at the White Calf Hall, Stand Off on Sunday, Oct. 14th from 7:00 - 11:00 p.m. 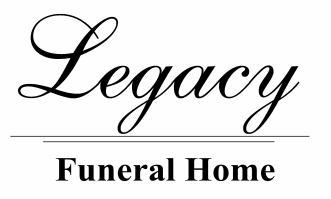 The Funeral Service will be at the White Calf Hall on Monday Oct. 15th at 11:00 a.m. Interment in St. Catherine’s Cemetery.